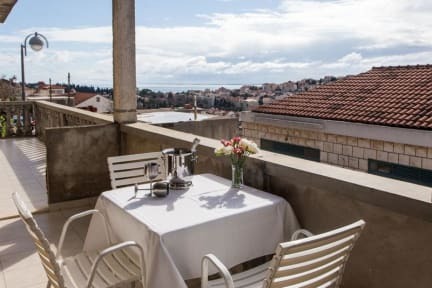 Hostel Lina kohteessa Dubrovnik, Kroatia: Varaa nyt! A great hostel with very friendly staff! All clean, and own toilet ja kitchen in the room. 15 min walk to old town. This hostel is situated 20 min walk from the old town (a lot of stairs to climb though). The kindest family runns it and the view and area is just beautiful. The rooms standard is absolutely amazing. Well equipped kitchen, super clean, laundry service and you can even buy the familys own wine for cheap. Can warmly recommend this place after staying here for 2 nights. Very nice and cosy little hostel. Lovely owners and nice, chilled atmosphere. Very friendly staff, helped us with everything we needed. Rooms are clean and atmosphere in the hostel is great. Getting to old town or bus station requires a bit of walking but is doable. We only stayed one night but would've gladly stayed longer! 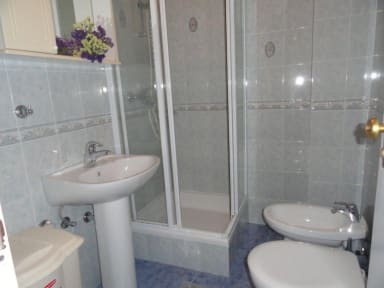 An appartment owned by a family. The owners are really friendly and helpful. The location isn't that central, maybe a 20 minute walk from the old town. Lack of lockers is slightly disturbing, but you can leave your valuables with the owners if you please. Everything is clean, the internet works well. The curfew at 23 might be a problem for some. Price was decent, overall an okay place to stay the night.